There’s a Shortage of Available Homes in Morris County! If you’ve been thinking about selling, you should know that there is a drastic shortage of available homes for sale all over Morris County! The statistics for are in, and they all say that the buyers are here and it’s time to sell! driving prices upwards, and sold homes received an average of 105% of their asking price in June. Parsippany: Since May of 2012, the number of available houses in Parsippany has dropped by over 21% from 335 homes, to just 263! For a town as large as Parsippany, this is a very low inventory and buyers are eager to get in before the home of their dreams is gone! Houses sold in May had been on the market an average of 47 days compared to last year’s 88 – a 46% difference! Boonton: The number of homes for sale in Boonton is falling far short of demand. Since last May, the number of available homes has gone down 38%, from 71 to 44. This has created strong upwards pressure on prices and homes sold this May realized an average of 104% of their asking price compared to last May’s 95%. Boonton Twp: Buyers are also eager to buy in beautiful Boonton Township! The number of available listings is down over 21% from last year and average sales prices have skyrocketed! Last May the average sale price was $428,000, and this May it’s a strong $615,000. Buyers aren’t just coming out for the bargains anymore – the high end is selling! Mountain Lakes: This peaceful community has always had a strong appeal for buyers, and the last year has shown a real rise in demand. Homes are selling quickly – with a 37% drop in average days on the market! Sales prices are also on the rise – from an average of $859,000 in May of 2012, to $892,000 in 2013. Montville: Buyers are eager to move in to Montville! The average number of days on the market decreased by over 40% between May of 2012 and 2013, from 98 to 58. The number of available homes has dropped by 19% and eager buyers are responding by acting quickly and bidding aggressively. The average sale price rose a very promising 8.1% from $434,000 to $469,000. Denville: Desirable Denville is also suffering from a listing shortage. The number of available homes has dropped by over 18% from 165 to 135. Homes are selling at a much quicker pace, too. The number of says on the market dropped by almost 23% from 71 to 55. Rockaways: Rockaway Borough and Township are experiencing their own boom. 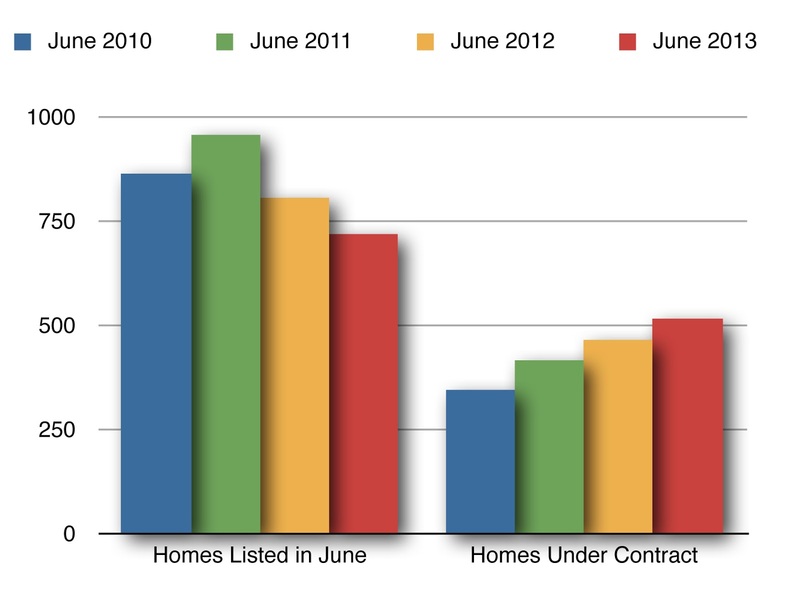 The number of available listings, combined, plummeted by 20% from 336 in May 2012 to 268 in May of 2013. This demand has improved sales prices from an average of 94% of asking price in 2012 to a strong 99%!